Good morning, friends! Today in central Texas, it's about 25°F (-4°C) and lightly snowing. Brrr! It's been quite the chilly winter for us, with multiple Arctic fronts and snowfalls, which are normally a once-a-year happening. Needless to say, my wintery Mary-made pieces are in heavy rotation this year. 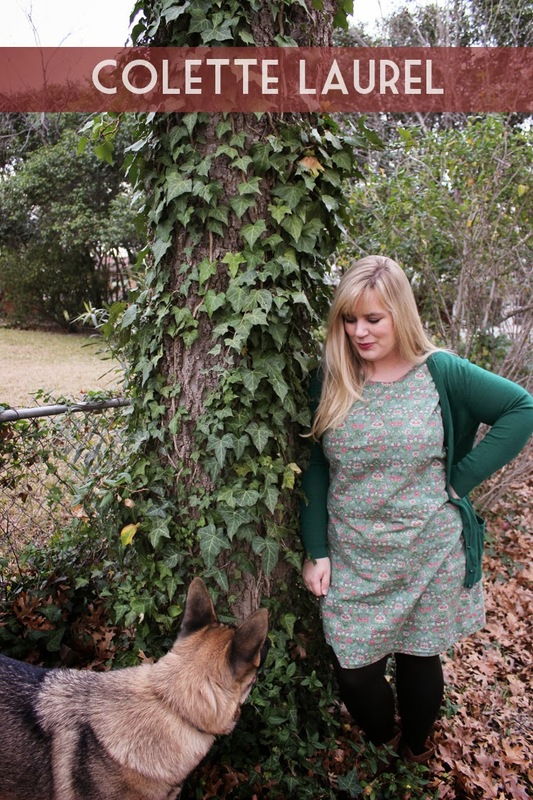 There are my beloved Peggy skirts, a few flannel iterations of my Wendy dress, and one of my favorite late-2013 projects: a fully lined green Laurel dress. yards of this 44-inch wide fabric. 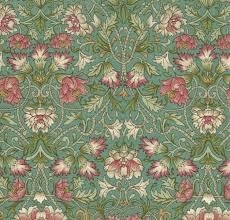 Though I loved the print, with those rose and cream flowers swirling about in such an orderly, Regency fashion, it was practically useless. The thought of a simple tank top left me cold, so it was destined to languish. 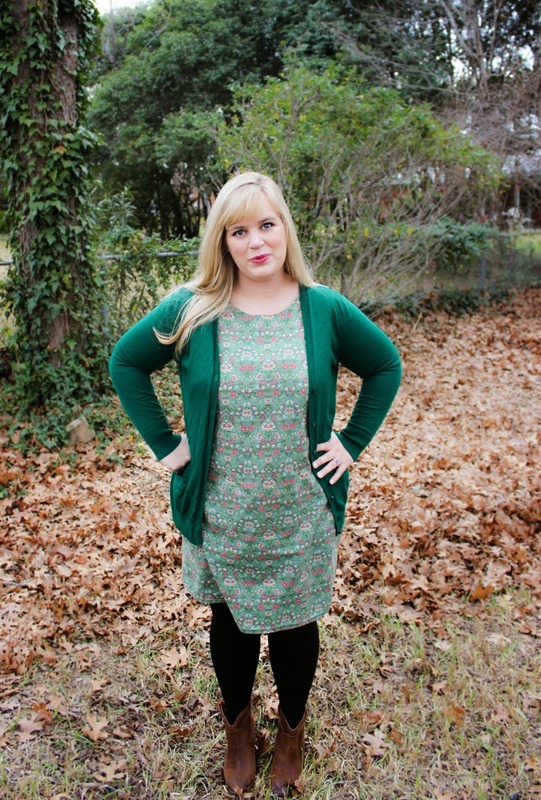 The Laurel, however, only needs two yards of fabric. Bliss and joy! 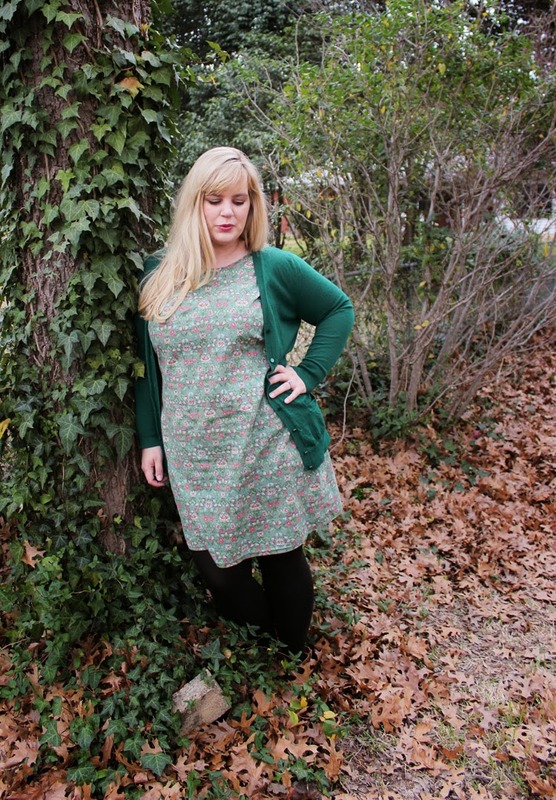 This dress was almost too easy to make. I adjusted the fit from last time, bringing in the waist another two inches, but still allowed enough room to omit the center back zipper and keep the shift silhouette. So, I sewed two side seams, one center back seam, and inserted a green lawn lining. Then, I machine hemmed both layers and -- Voila! -- a dress was born. Like its predecessor, I love the way this Laurel layers up. 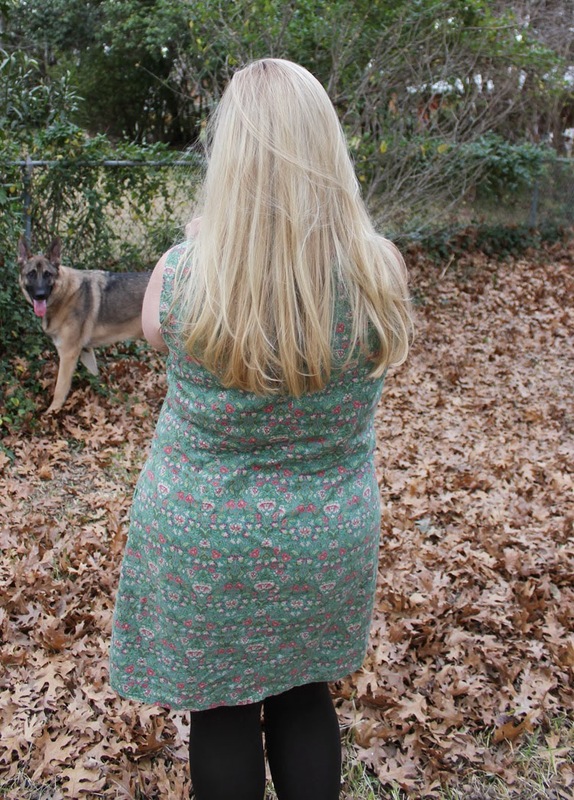 It will be just fine on its own this summer, when I'm tanner than in these ghostly pictures, but really shines when paired with a wool cardigan and tights. A simple, comfortable outfit for these chilly Texas mornings. 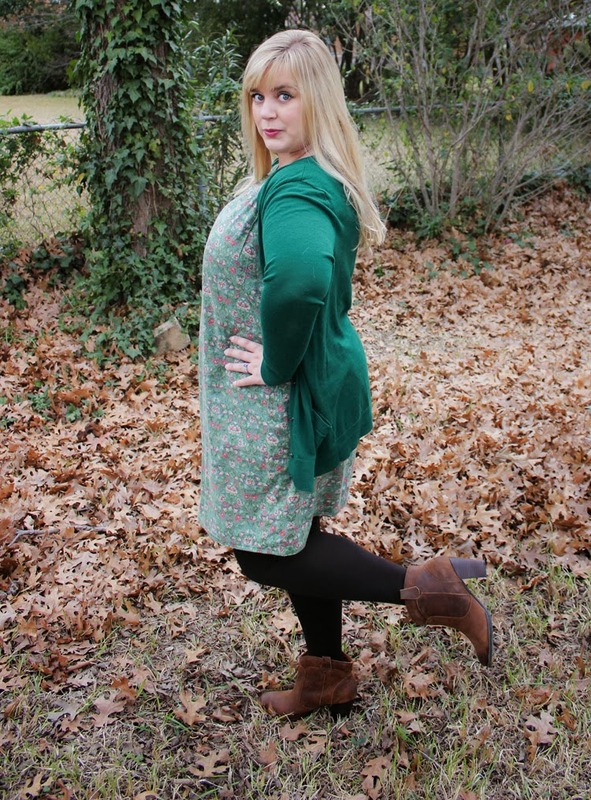 It's also perfect with my low slung brown boots, which I adore, but so rarely wear. 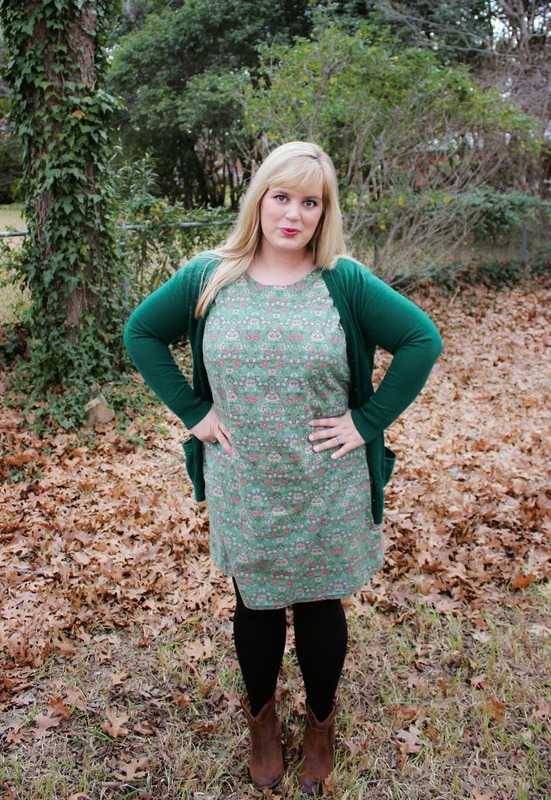 Incidentally, if you're also in the mood for a cute shift dress, I have good news! 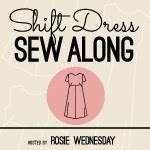 The lovely and charming Lauren, of Rosie Wednesday, is currently hosting a sew along for Simplicity 3833. 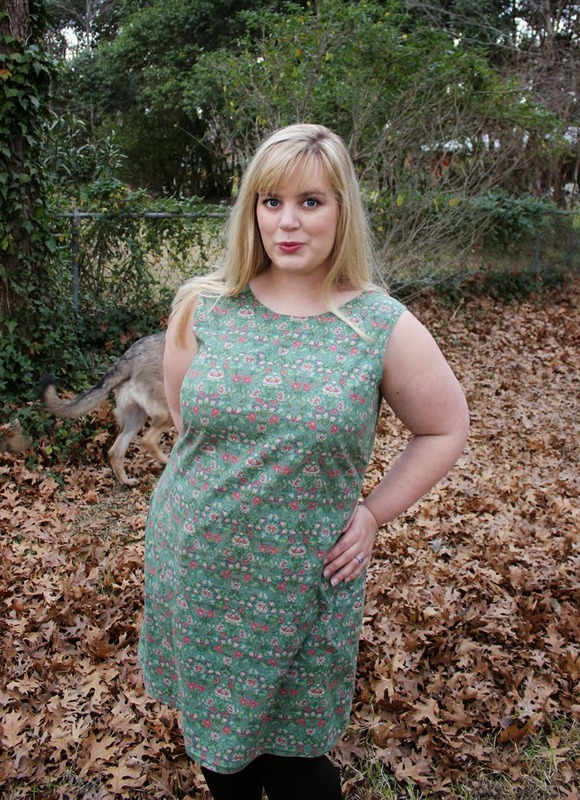 The pattern is a completely adorable 60's reprint, with more structure than your typical shift dress. 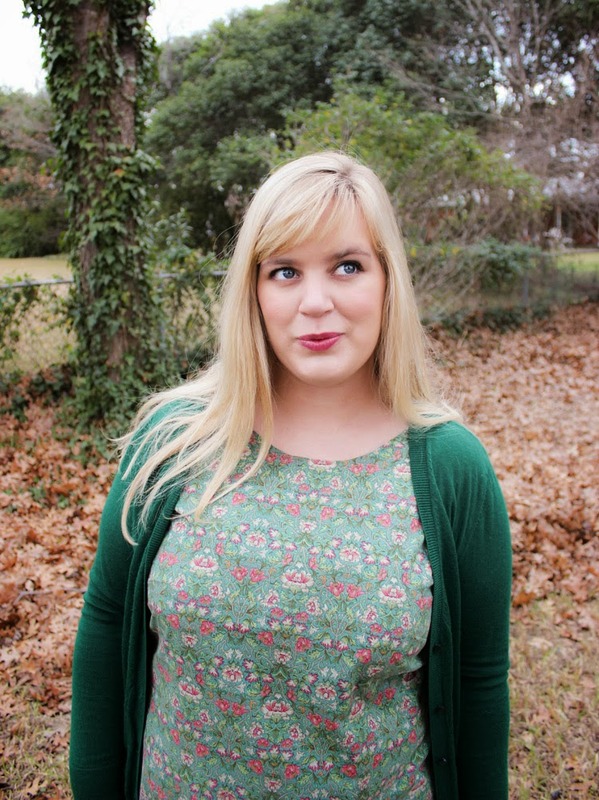 If you're concerned about how the Laurel may look on a curvy figure, 3833 is a fabulous alternative and Lauren's tutorials have been amazing. Her video on lapped zipper insertion will make a lapped zip convert out of you, I promise! The fabric! Pretty, simple, and so so soft! The ease! There is no easier dress than this, my dears. Omitted the zipper, once again due to extreme laziness. Brought the waistline in by over five inches total. Nothing! It's rather perfect as is. Two hours, from cutting to hem. Woohoo! In other news, Idle Fancy now has its very own Facebook page! Currently, it has zero fans. So...if someone, anyone would like it, I'd be eternally grateful. I'm not a big Instagram user, so if you want to keep up with behind-the-scenes sewing news and other fun things, that page is the place to go. Please, oh please, like it?